Usually Delivered in 12 - 13 days. 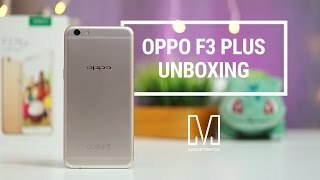 The lowest price of OPPO F3 Plus (Gold, 64 GB)(4 GB RAM) was obtained on April 24, 2019 3:38 pm. Boasting two cameras on the front, the OPPO F3 Plus offers an amazing selfie experience. Its 16 MP front camera features a large f/2.0 aperture and a powerful 6 mm image sensor to help you take low-noise, bright photos even in dimly lit conditions. The 120-degree wide-angle 8 MP selfie camera, with its smart facial recognition feature, ensures that all you friends fit into the frame for the perfect ‘groupfie’. It uses a 6 P lens module that adjusts the path of light to enhance image clarity and reduce distortion. 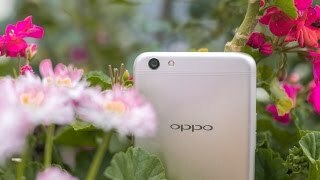 The 16 MP rear camera of the OPPO F3 Plus features Sony’s IMX398 image sensor, along with a customised 6.4 mm sensor unit and a large f/1.7 aperture. As a result, you can take bright and beautiful shots at a moment’s notice, and that too with less noise. The camera also takes advantage of the Dual PDAF (phase detection autofocus) technology, so that you get up to 40% faster focus even in low light, resulting in clear shots. The OPPO F3 Plus features two sets of three 0.3-mm thin lines across its back. These fine lines not only add to the beauty of this smartphone, but they also enhance the WiFi performance. They help the phone operate on six frequency ranges. To top it off, the built-in WiFi amplifier dynamically chooses the strongest signal for, both, 4G and WiFi, irrespective of how you’re holding your phone. The OPPO F3 Plus features a 15.24 cm (6) Full HD display, so you can enjoy almost all your visuals in vivid and rich detail. With a 1.78 mm narrow bezel, this smartphone offers you a wider screen for an immersive viewing experience. Also, the touchscreen has a Corning Gorilla Glass 5 for added protection. The polished, smooth back further adds to this smartphone’s appeal. To top it off, all this elegance is packed into a sleek and slim body, weighing just 185 grams. The 4000-mAh battery of this smartphone keeps the fun going on for hours on end. It features OPPO’s VOOC Flash Charge technology that offers smart battery management. It optimizes the most-used applications and the amount of power they consume when they’re idle. By doing so, your battery’s charge lasts for longer. Also, this innovative technology offers up to two hours of talking time after charging the battery for just five minutes. 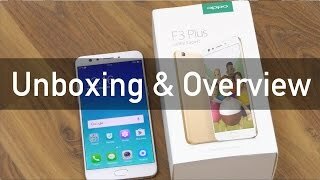 The OPPO F3 Plus comes with 64 GB of internal memory to store almost everything you love – movies, music, photos and much more. Still need more space? You can further expand the internal storage by up to 256 GB using a microSD card.